Any derby fan in Kansas City worth his/her salt knows by now that the Victory Vixens won the Rink of Fire championship Saturday night at Municipal Auditorium. 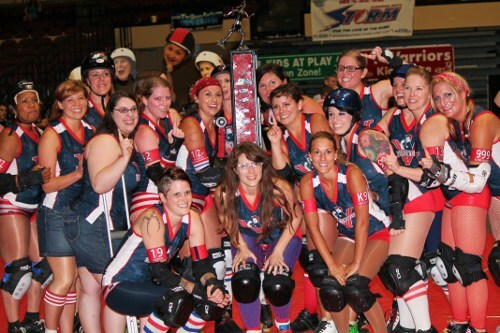 In honor of their first-ever trophy, we are celebrating Vixens Week over on our Facebook page. Come on over and join us! This photo set a world record for red eye removal. We’ll be posting all week long with fun facts about (and photos of) your favorite Vixens, and you can play along by sharing your Vixens memories and photos of your own, if you’re so inclined. 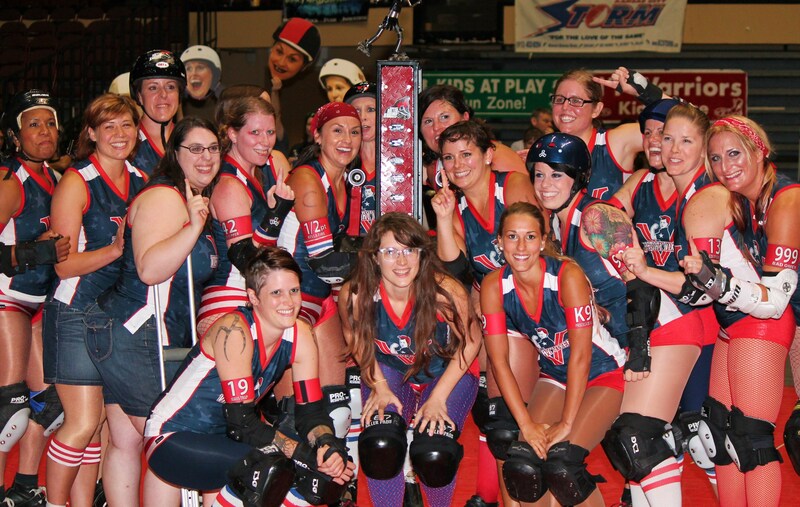 Congratulations again to the Victory Vixens on their championship win! We couldn’t be more proud of our ladies in red, white, and blue.